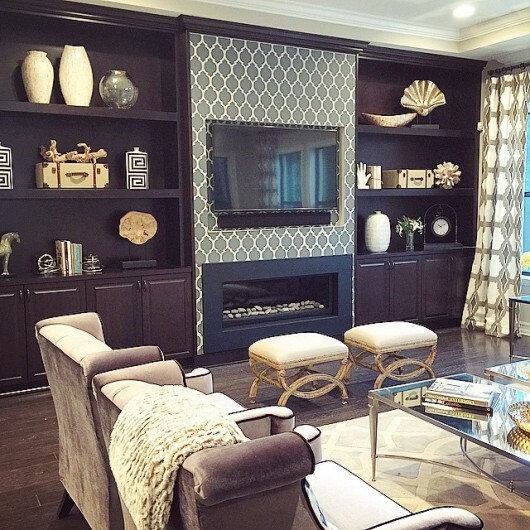 We are going to start off this scroll through our Instagram feed with a stunning living room. Yaneisy Moochnek, an Interior Design in the Tampa Bay area, designed this family room. 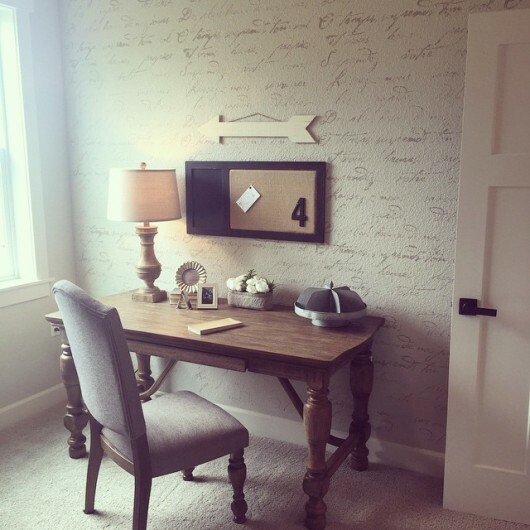 It features a dark gray and white Casablanca Allover stenciled accent wall. 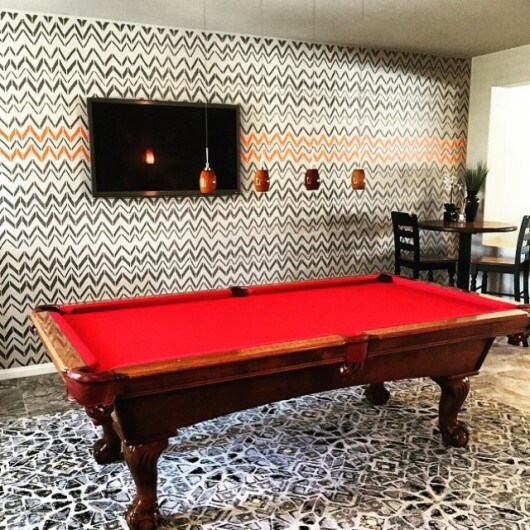 We’re pretty sure that this stenciled accent wall will have your guests talking about how awesome this game room is! StettieHand painted the Retro Flame Allover stencil in a dark gray with splashes of orange. 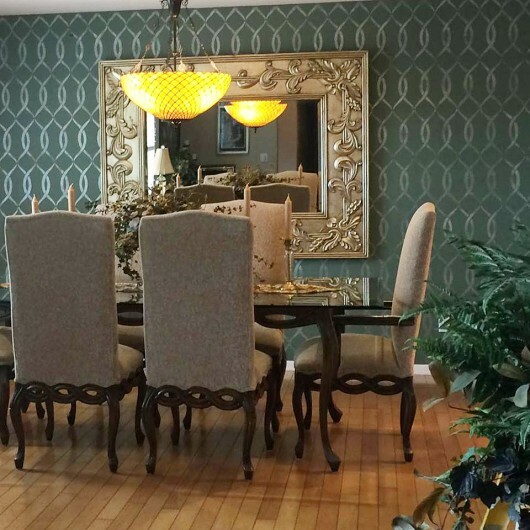 We love how the wild wall pattern looks in this fun space. We love an impressive entryway so our heart skipped a bit when we spotted this one. Yaneisy Moochnek from One Piece At A Time painted our Connection Allover Stencil in a Client’s entry hall and we think she did a fantastic job. 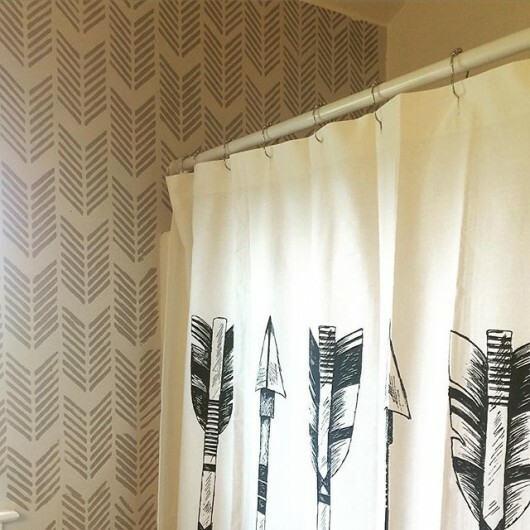 Alison painted this trendy arrow meets herringbone pattern using our Drifting Arrows Allover Stencil in a soothing earth tones. So that about wraps up our latest Instagram finds. If you plan on sharing a project with us then be sure to use the hashtag #cuttingedgestencils. We’ve been known to regram our favorites. 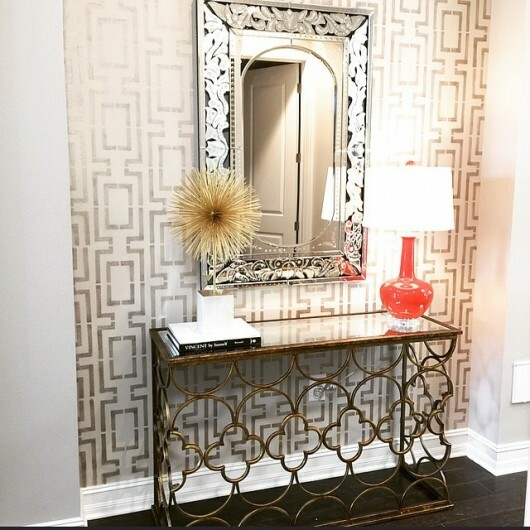 Which one of these Instagram stenciled spaces is your favorite? Leave us your thoughts in the comments below! Stencil A Smashing Master Bathroom! Recent Cutting Edge Stencils Fame! HGTV Magazine Uses Stencils In A PaintOver! Warm vs. Cool Colors: What’s Your Stenciling Preference?